Award-winning digital studio Alt.vfx has scored another hit campaign with its latest stunning advert for Honda. 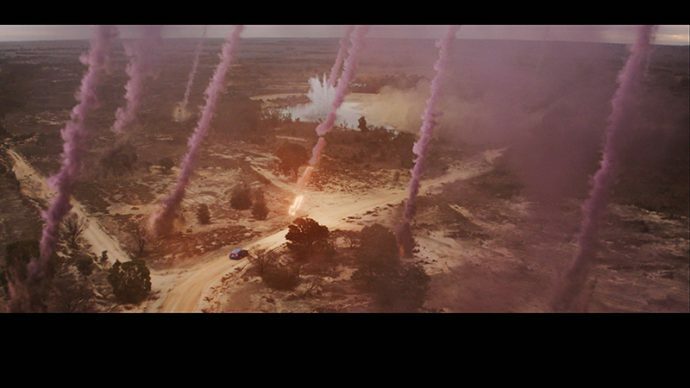 A collaboration with director Nathan Price from Goodoil Films and agency Leo Burnett, ‘Dream Chaser’ is the third advert the team have put together for Honda, after Dream Run (directed by Nathan Price) and Wild Horses (directed by Hamish Rothwell). Written by Leo Burnett Melbourne, the new ad features a remote newsreader who holds a dream of being the main studio anchor. When a mysterious comet crashes towards earth, she chases the story with her crew aboard a brand new Honda Civic, and after coming into contact with the crater, she hops back in time and into an alternative reality, exchanging places with the studio anchor and realizing her dreams at last. Filmed on location in Victoria, Dream Chaser director Nathan Price and his crew captured the actors and car in some of Australia’s most dramatic landscapes, with Renshaw and additional supervisor Sean Ryan being on set to oversee production. While the car was always live action, the Alt team did use a proxy model of it to catch the lighting and reflections from the CG meteors. On the shot where the meteor flies past quite close to the car for example, the team used the proxy to generate those groovy swinging shadows on the car.